Tina Brown was twenty-five when she became editor-in-chief of The Tatler, reviving the nearly defunct 270 year old magazine. She went on to become editor-in-chief of Vanity Fair, and in 1992 she became the first female editor of The New Yorker. 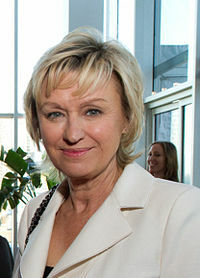 In 200, Tina Brown was awarded a C.B.E. She is married to Sir Harold Evans and has two children. They reside in New York. The following is a personality profile of Tina Brown based on her work. Tina Brown is shrewd, somewhat insensitive and tranquil. She is calm under pressure, she handles unexpected events calmly and effectively. She is philosophical as well: she is open to and intrigued by new ideas and loves to explore them. But, Tina Brown is also unstructured: she does not make a lot of time for organization in her daily life. She is also relatively unconcerned with taking pleasure in life: she prefers activities with a purpose greater than just personal enjoyment. Considers helping others to guide a large part of what she does: she thinks it is important to take care of the people around him.